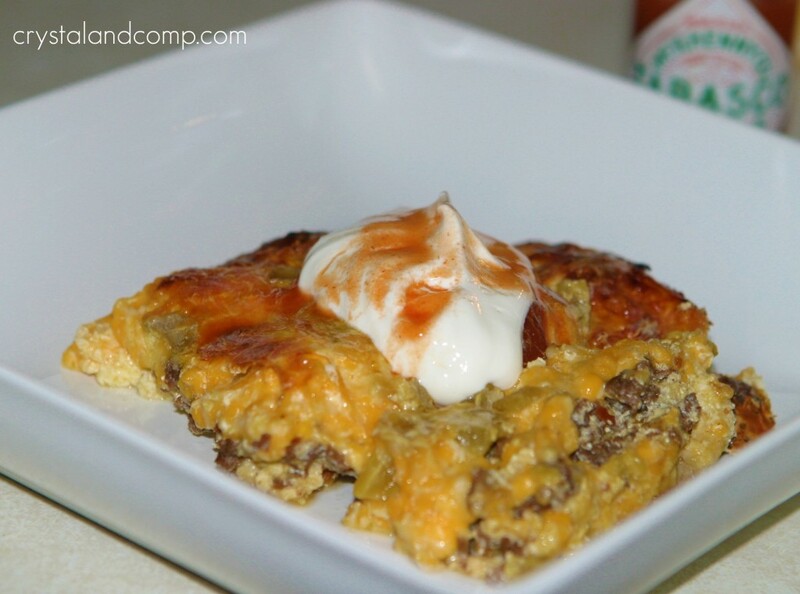 I am so excited to be sharing another one of the Texas Beef Council’s recipes with you guys. 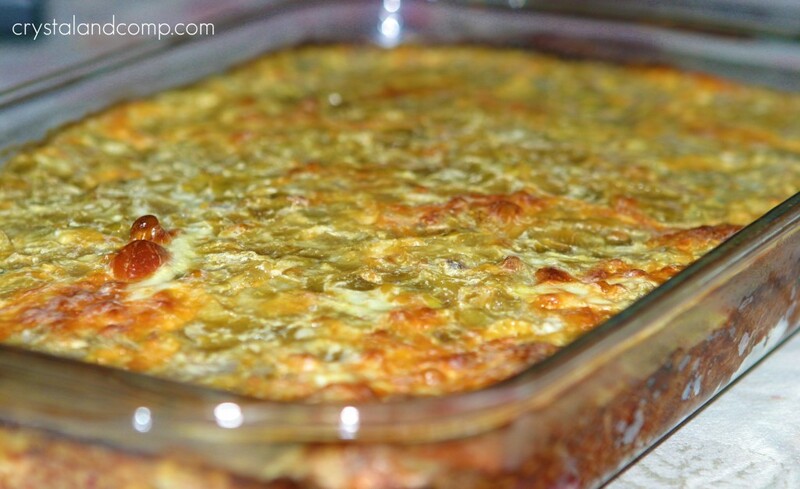 Here is a delicious breakfast casserole that would be perfect to serve Christmas morning, or even serve for brunch after gifts are opened and kids are running around screaming and playing. What? Your kids play quietly? As you see the recipe calls for beef sausage. After going to four different grocery stores, including a meat market, I could not find ground beef sausage anywhere. After butchers trying to sell me polish sausage and relentlessly trying to convince me that sausage is pork, I finally ran across a kind and very wise butcher at Albertsons. He informed me that about 10-15 years ago, due to cross contamination concerns, they put a stop to butchers making any ground sausage at the grocery store level. He informed me that it really is easy to improvise at home. He gave me spice suggestions to create my own beef sausage using 1 lb. chili meat. I share this with you because if I had a hard time finding ground beef sausage, I am sure you will too. 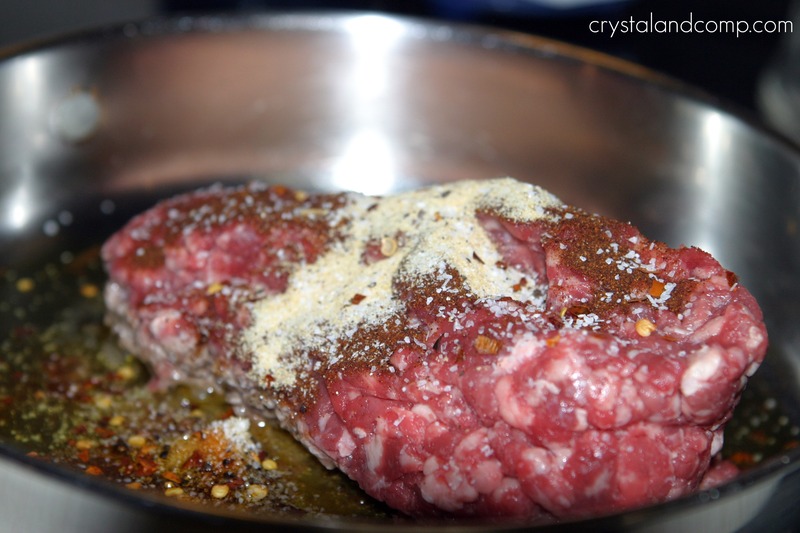 Add those spices to your meat and brown in a skillet. I added a drizzle of olive oil to the pan. While the beef sausage is cooking, cut the crust off six slices of sandwich bread. Butter each slice of bread on both sides. I used spray butter because I like the easy route. 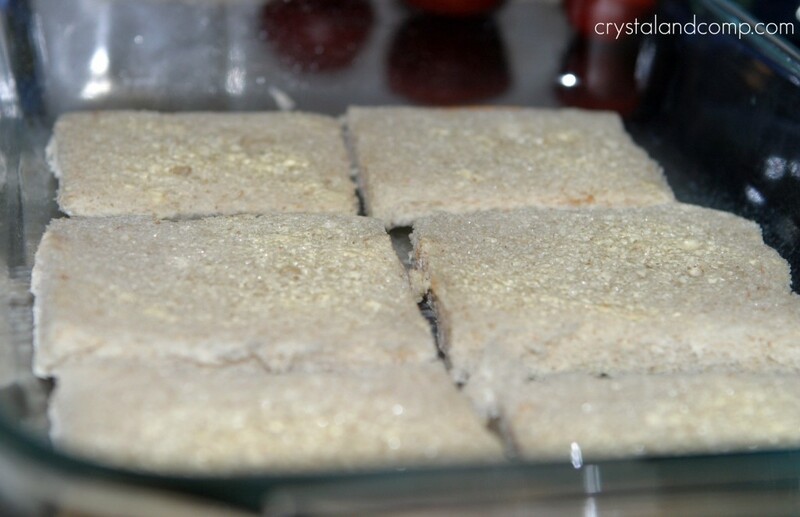 Place the bread slices in the bottom of a 9×13 casserole dish. Drain your meat and sprinkle the meat over the bread slices. Top the meat with all 4 cups of cheese. 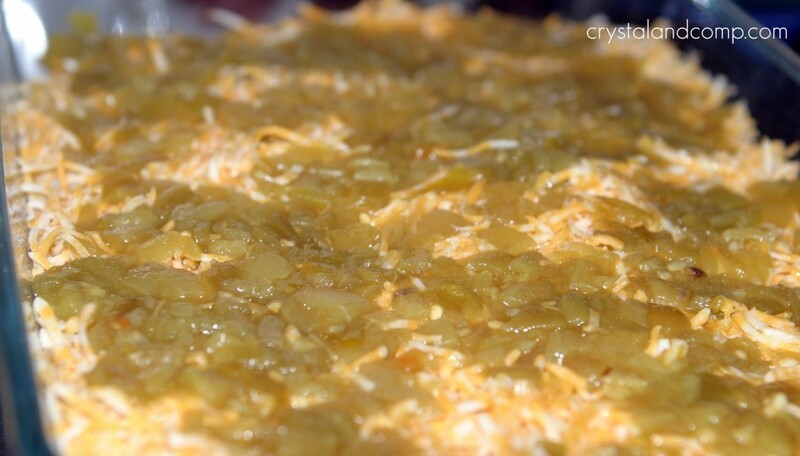 Pour the two cans of diced green chilies over the cheese. Next, whisk your eggs, half-and-half, salt and dry mustard. 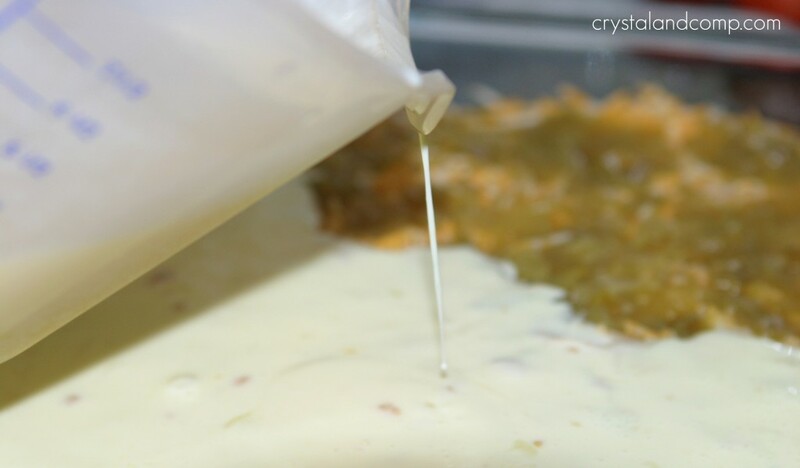 Pour that over your casserole and then cover the dish with foil. Refrigerate over night or at least for a handful of hours. I prepared this in the morning and left it in the fridge all day. Then, it was ready to be cooked when dinner-time rolled around. Bake at 350 degrees for 45 minutes or until bubbly. Let it set for 5 minutes or so to allow the casserole to set before cutting into it. 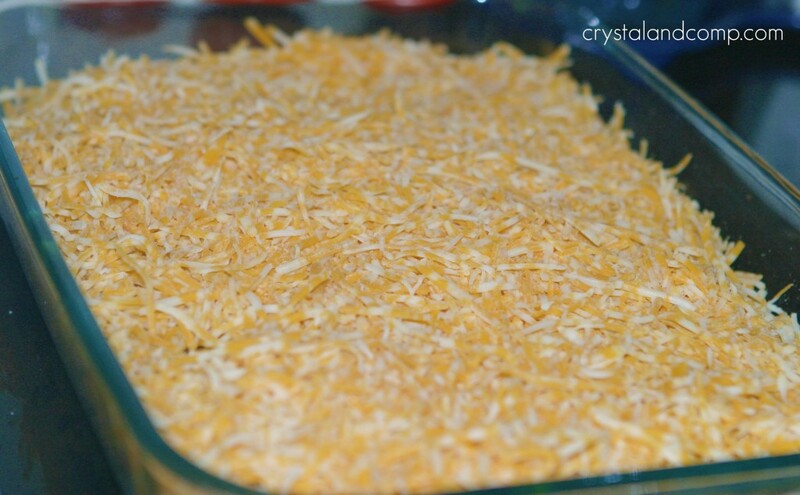 Plate it up and top with picante sauce, hot sauce, sour cream, more shredded cheese, etc. I hope that you will join us tomorrow night for the #TXBeef Holiday Menu Twitter party! It is THIS Tuesday, December 13 from 8-9 CST. You will be there, right? Look for me at the party. My Twitter handle is @crystalandcomp. Why should you be a part of this? There will be 23 Beefy prizes!!! Plus there will be all kinds of fun and information for making holiday menus easier. On board will be a butcher, a nutritionist and a chef available for such questions. Brown the beef sausage in a skillet drizzled in a bit of olive oil. 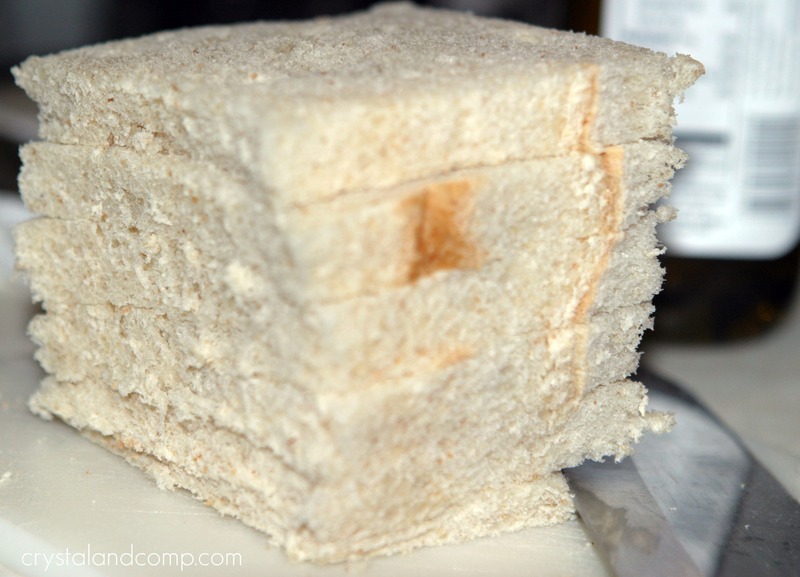 While the meat is cooking, cut the crust off six slices of sandwich bread. 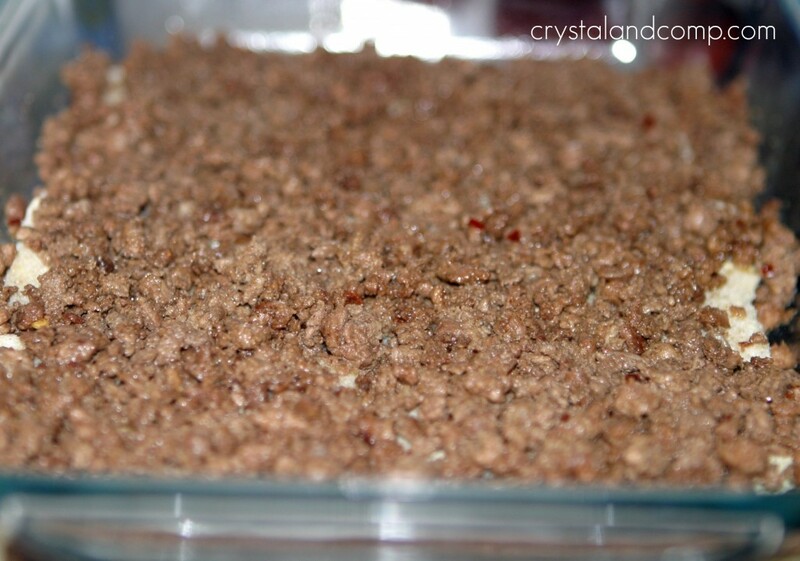 Place the bread slices in the bottom of a 9x13 casserole dish. I would have never thought about converting ground beef into sausage simply by using spices either until the butcher suggested it. I think my husband would love this! Love your step by step pictures. Omg! This looks so yummy! I think my family would love this for breakfast! 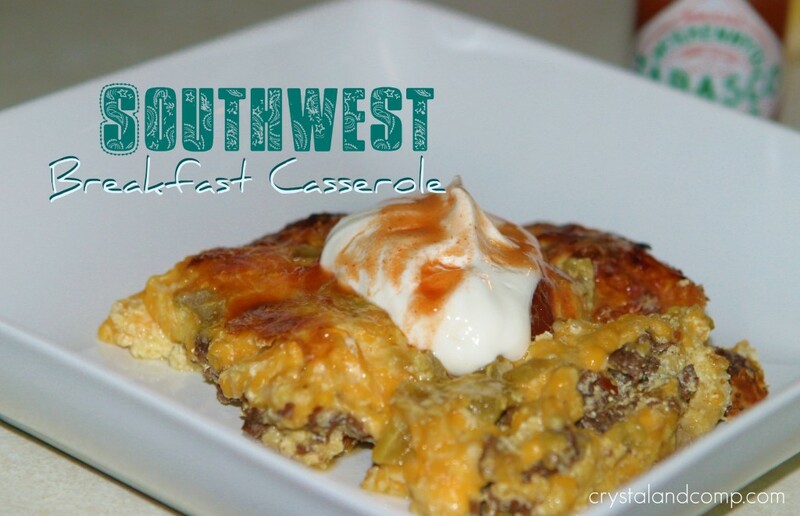 I so love breakfast casseroles and now I have a new one to try-yum!I would love if you stopped over to link up at Get Schooled Saturday a Too Much Time on my Hands! Cannot wait to try this! Stopping by from TT&J! !